The fashionable theory is that the Moon is the result of a collision during the birth of the Solar System 4500 million years ago. When the Earth was nearly complete, a gigantic wandering asteroid the size of Mars supposedly collided with our planet, flinging vapourised rock and debris from both bodies into space. Some of it went into orbit around the Earth, and congealed to make the Moon. The impact would have greatly altered the outer layers of the Earth too. So fuller understanding of both the Earth and the Moon depends crucially on confirming or refuting this theory. 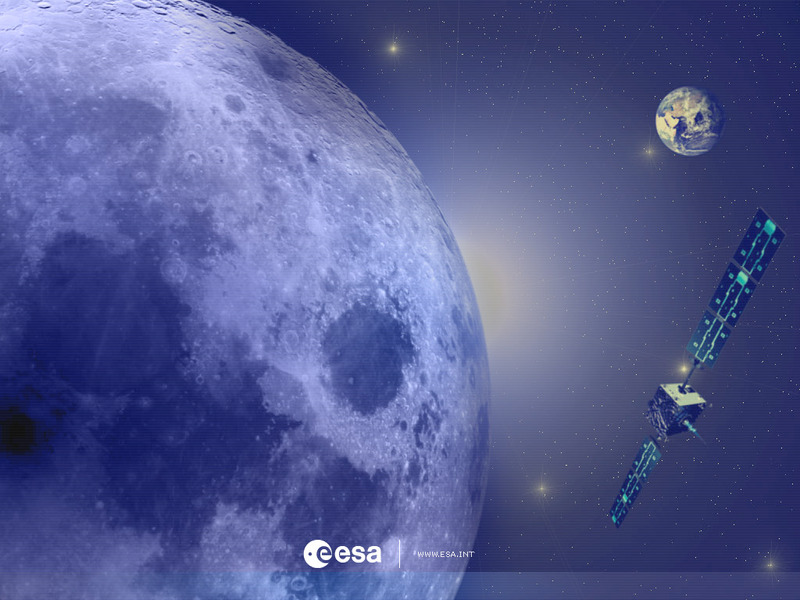 If the story is right, then the Moon should contain less iron than the Earth, in proportion to lighter elements such as magnesium and aluminium. By gauging the relative amounts of chemical elements comprehensively for the very first time, SMART-1 can make a distinctive contribution to this momentous scientific issue. D-CIXS (pronounced dee-kicks) is the instrument for the job. X-rays from the Sun cause atoms in the lunar surface to fluoresce, emitting X-rays of their own. The precise energy carried by each X-ray is a signature of the element emitting it.